Hello all! I've been so into the retro style lately that I haven't tried the pheromone fetish style for a while. The idea for this coordinate had been lurking in my mind for a few weeks and I finally decided to act on it! This was my first time wearing pheromone fetish outside of my building. I was slightly nervous because this outfit was flashy in a way that I'm not accustomed to, but people were surprisingly cool with it. My main focus for this coordinate was to integrate a variety of textures. After considering the different textures in the E hyphen BonBon x Risa Nakamura collection for this post, I was inspired by the variety. The diversity of textures is one of my favorite aspects of Larme fashion. So I put together a look involving leather, fur, fishnets, lace, satin, and velvet. These are all staple textures for the pheromone fetish style. I was afraid of them clashing or looking cluttered, but the coordinate turned out alright. I also wanted a more playful aspect to my coordinate, so I matched my WEGO rabbit bag with my pompom detail Swankiss top. This touch might have been too subtle, but it is quite hard to come up with rabbit accents that are not too over-the-top for this style. I hope my attempt was okay! I initially wanted to challenge myself by creating an all black coordinate. I had planned to wear my Bubbles camisole (which is shown in my first outfit post). But the shiny fabric in black seemed too similar to the leather of my skirt, so I switched it out for my pink/lavender satin camisole instead. I kind of regret it now though, since I wear the pink x black combination far too often. I'll try wearing the Bubbles camisole next time. Thanks for reading my coordinate post! Which do you enjoy playing with more: textures or patterns? What is a style that you love but don't actually wear often? 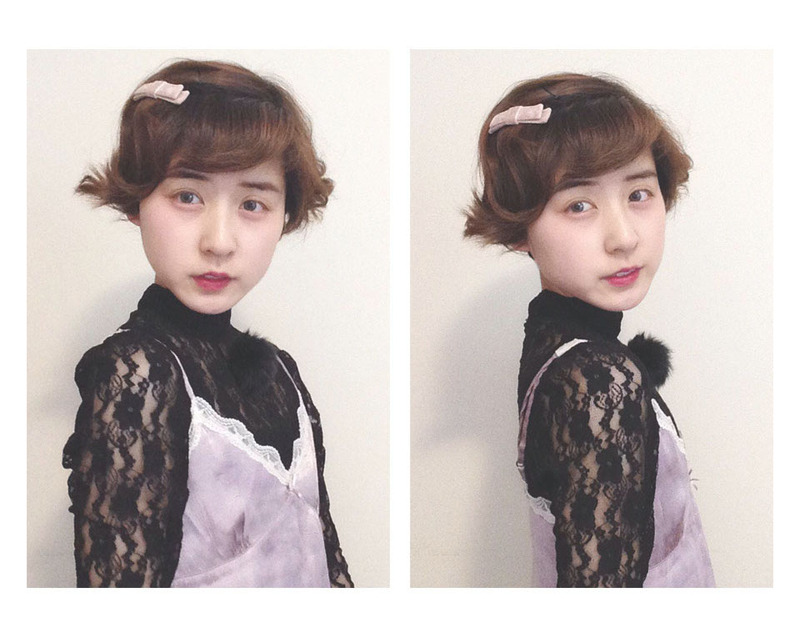 If you wear Larme fashion, which are your favorite sub-styles? Do you prefer to be conservative or bold when incorporating themed motifs into your outfits? Feel free to comment with your answers! And do share any other forms of feedback that you may have as well. I would love to read them. I'm a bit shy and textures are a bit more subtle than patterns, so I usually mix those. I actually love the 50s retro biker chick aesthetic, but I don't have a lot of clothes that fit that aesthetic so I can't wear it often :(. I like pheromone fetish and pin-up girly the most, although i guess a few kf my outfits fall into the french girl style. Once again, I'm a bit shy, so for themed outfits, it's mostly just accesories or graphic tees. I really enjoy your blog, both you and Eri work so hard to make those fantastic posts! You haven't gotten a lot of comments so far, but I for one really look forward to every single post and I'm sorry I haven't commented until now, I just didn't quite know what to say. Also, if it isn't to much to ask, could you maybe make a post or just talk a little about modesty in Larme style? How much skin to (not) show? I dress quite modestly, with long skirts and basically no crop tops, but I wanted to know your thoughts on showing skin. I am poking in to say hi! OMG OUR FIRST COMMENT. Yay! Huehuehue. I'm happy that you like our blog! ;o; It's been tough to get readers since we're so new. It means a lot to me that you look forward to our posts. We'll try to incorporate more discussion questions into each post so that people can feel more comfortable commenting!